If it weren’t for the number of improvements has had for the past few years, running outside would still be the best. 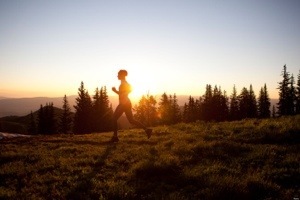 For one, running outside gives you access to beautiful scenery, fresh air and a chance for socialization. Things have changed for the past few years, though, particularly in urban areas. Running outside provides more risk than benefits, and the benefits that can be derived from running outside can now be acquired from treadmills. Which Provides The Best Workout? What you usually want from a workout is to allow you to expend calories either to shed excess weight or to keep your body in top shape. Thus, the effectiveness of an exercise depends on the effort you put off to it. Your heart rate during and after a workout best reflect the rating of your perceived exertion. Modern day treadmills are highly customizable. You can adjust them to provide you a similar condition as with running outside. Thus, a treadmill offers a relatively similar level of workout with running outside. 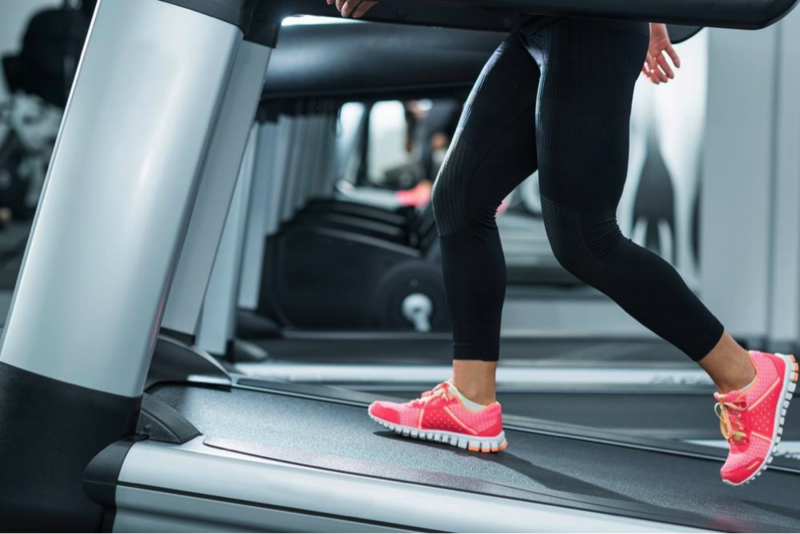 You can increase the incline of the treadmill to compensate for external factors such as wind or terrain changes that outside runners encounter. 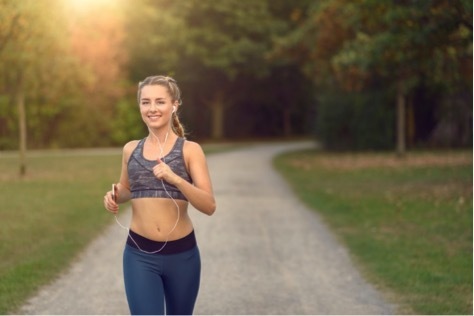 Running on a treadmill provides the chance to continue with the workout even during occasions that it’s impossible to run outside like during bad weather. Most people find it difficult to continue with running and form a habit of doing it if they fail to stick to a schedule. This is most true to those who are just starting up. The chance to run indoors with treadmill provides an alternative to running outside and address such a situation. People who train for an athletic event can also train on a treadmill. Although it must be emphasized that however closely a treadmill can emulate the conditions outside, various factors such as terrain changes and varying temperature can’t be entirely copied. Thus, it would still be beneficial for an athlete to limit indoor training to 40% and spend the remaining 60% of the training outdoors. Although these factors are beneficial to building resistance for athletes, for non-athletes, they can be potential sources of discomfort. They can even cause illnesses. You can start and end a running session with a treadmill and still be in your house. If you’re running outside, you wouldn’t have the advantage of stopping anytime you want. You need to return to a starting point. Running on a treadmill allows you to perform other activities such as watching a TV, browsing the internet or reading a book. This is difficult with running outside. For one, you can’t bring with you a TV. 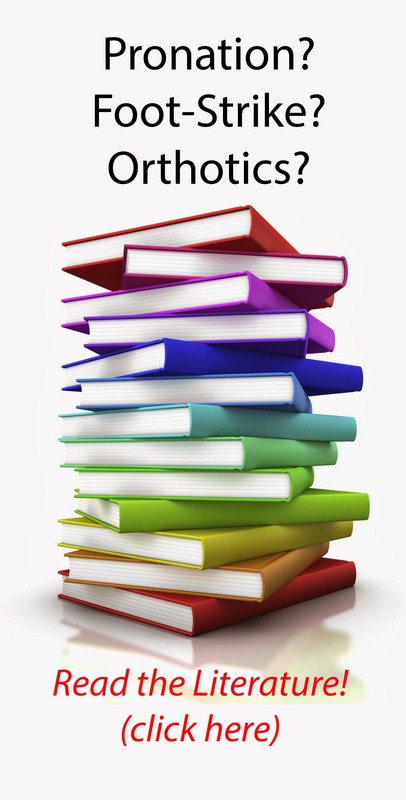 Another is, although you can browse the Internet on the go or read an e-book, you risk yourself getting into an accident. Running outside requires you to be mindful of your surroundings. This is not the case with running on a treadmill. 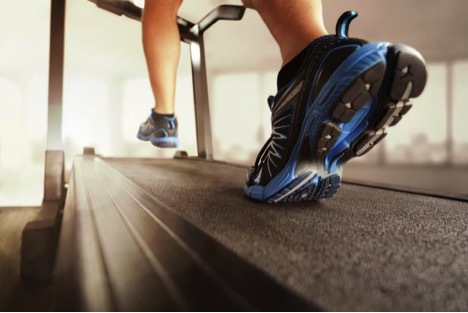 Most, if not all, of treadmills, have cushioned surface or contains shock absorbers. This is easier to the joints. 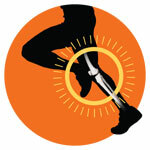 One of the problems that hinder a person from running outside for extended periods is that with the joints. Prolonged stress and tension to the muscles and joints hurt them. In a treadmill, the stress these parts receive is reduced. Thus one can run for an extended period. Running indoors is safer than running outdoors. You don’t run the risk of encountering a wild animal or a criminal while outside. Some things can happen outside that might endanger your life which can easily be avoided by running on a treadmill. Of course, it would be nearly delusional to assume that bad things are likely to happen. However, the thing is, the chances for those to occur is lower (if not zero) if you run indoors. Some people find it enjoyable to be somewhere—to see new things and meet people. This can be an advantage for you if you run outside. You can even get somewhere and perform chores while running. 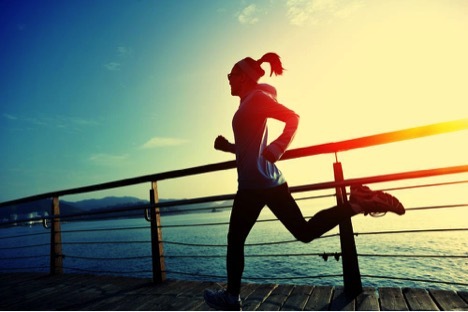 Running outside gives you the chance to get a healthy dose of the sunshine and fresh air, as well. You get to enjoy nature, weather, the season and even the scenery. Compared to running on a treadmill, you can’t easily decide to stop running when you run outside. For one, running takes you somewhere. You can’t just choose to stop. You need to go back and in doing so, you’re forced to continue running. 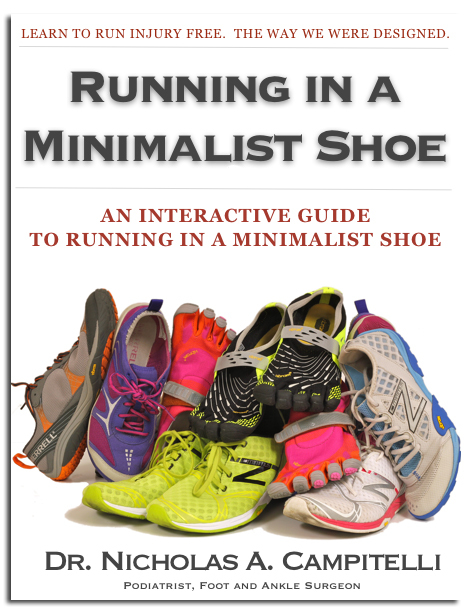 This is ideal for people who have trouble keeping a running regimen. This way, you get to burn more calories—and are forced to keep it that way. A sense of accomplishment naturally motivates humans. Running on a treadmill does not give you the same satisfaction from running 5 km than running the same distance outside. Running outside allows you to experience how it is to run such a distance. This is motivating for some. You can also take a different route or go somewhere else every day with your running. This keeps the exciting going. You get to see new things and experience something new every day. The choice of whether to choose your treadmill or run outside depends on a situation. There is nothing better, in particular. Running on a treadmill and running outside have their sets of advantages. The best way is to benefit from the two. On some occasions that you can’t run outside, benefit from the treadmill. But if you have the chance, run outside. Limiting yourself to one is depriving you of a lot of advantages. Emily Carter is an American competitive athlete who is always trying to push herself to the limit. She is also the founder of GoAheadRunner, where her associates blog contain articles to provide everything a runner needs, whether you are a seasoned pro or an absolute beginner. As a certified holistic life coach, Emily also has 3 years’ experience as a power running instructor and holds a degree in sport science. She loves bringing what she knows and learns to the community and hopes to help everyone to the road to happiness. The Sunday Morning Long Run. I find it weird to find an article in your blog which promotes treadmill running because of the integrated damping which, imho, can only hinder proper technique. It says running outside is worse for the joints because of the lack of (even more) damping technique. That’s BS, the contrary is true and I’m sure you know that. I’m sure there’s some degree of science to back up either option. But a lot depends on your personal preference. And your goals. If you like going to the gym a treadmill can be fun. If you’re looking for something a little more “spiritual” getting in touch with nature is great. And if you’re training for a race, a treadmill can be part of your training but there’s no replacement for running outside! Running outdoors every time for me, especially on a soft forest mountain trail. There’s just no way a treadmill can compete for the experience but I appreciate the convenience sometimes! Another advantage I find with treadmills is I can track my fitness over time more easily than on the road. For instance, I can maintain an incline of 10% and see how long it takes me to run for 5 miles or how long I take to lose 500 calories.